Are trees' ability to sequester carbon a sustainability myth? - Archpaper.com Are trees' ability to sequester carbon a sustainability myth? Apple is planting a forest in Cupertino, California. When the company’s new headquarters is completed later this year, 8,000 trees, transplanted from nurseries around the state of California, will surround the donut-shaped building by Foster + Partners. 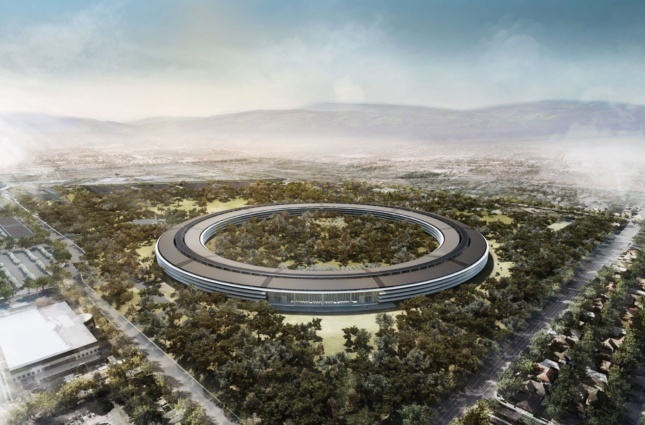 The trees are meant to beautify Apple’s 176 acres (dubbed Apple Park). But they will also absorb atmospheric carbon. That’s a good thing. Carbon, in greenhouse gases, is a major cause of global warming. Almost everything humans do, including breathing, releases carbon into the atmosphere. Plants, on the other hand, absorb carbon, turning it into foliage, branches, and roots—a process known as sequestration. That’s why, when architects, landscape designers, and urban planners concerned about climate change talk about their work, they often mention sequestration. These days, seemingly every project that includes greenery is touted as reducing atmospheric carbon. But how much carbon can one tree, or even 8,000 trees, sequester? Another study seemed especially applicable to Apple. In 2009, researchers at California State University Northridge studied carbon sequestration on the university’s 350-acre campus. Students inventoried all 3,900 trees by type and size. Using data from the Center for Urban Forest Research, a branch of the U.S. Forest Service, they estimated the amount each tree was likely to sequester. The average was 88 pounds per tree per year. (By contrast, the average American is responsible for emitting about 44,000 pounds of carbon annually.) Then they compared total sequestration to the amount of carbon emitted by campus sources. (Those sources included the production of electricity to power campus buildings—but not transportation to and from campus.) The result: The trees sequestered less than one percent of the amount of carbon released during the same period. Put another way, the amount of carbon sequestered, at a school with 41,000 students, equaled the carbon output of eight average Americans. Are things better at Apple Park? On the emissions side, there is good news: The new building will rely largely on natural ventilation, reducing the need for air conditioning. (Note, though, that promises a building will perform a certain way often prove overly optimistic.) On the other hand, the campus is being designed with more than 10,000 parking spaces for some 12,000 employees, suggesting that the vast majority of employees will be driving to and from work. And those spaces are in garages that require lights and elevators. And keep in mind that many of Apple’s trees were already growing in other locations, meaning the carbon sequestered on the Apple campus would have been sequestered anyway. That suggests that any estimate of carbon sequestration at Apple Park should be reduced by at least half. In the plus column, grass and shrubs also sequester carbon, though not merely as much as trees, with their thick trunks and extensive root systems. So how much carbon will Apple’s trees sequester? The figures used in the Northridge study suggest that Apple’s 8,000 trees will remove some 700,000 pounds of carbon from the atmosphere each year. 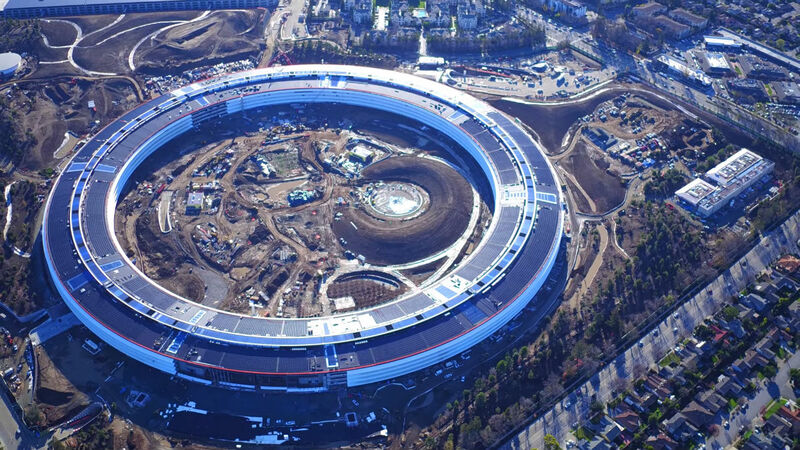 According to Apple’s submissions to the city of Cupertino, the new campus can be expected to produce 82 million pounds of carbon annually. That means that the carbon sequestered will be less than one percent of the carbon emitted. In short, Apple’s decision to plant 8,000 trees, whatever its other benefits, won’t have a significant effect on the amount of carbon in the atmosphere. The campus, even with a very green building at its heart, will emit more than one hundred times as much carbon as its trees absorb. That doesn’t mean we shouldn’t keep planting trees. But it does mean that, as with so many issues related to global warming, there is no quick fix. Thinking there is could keep us from making the tough decisions climate change demands.